Council Bylaws on Freedom Camping in New Zealand. 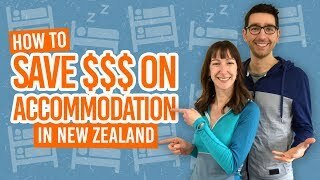 Parking up somewhere in your campervan and camping for free is a fuzzy issue here in New Zealand. The common thought is that self-contained vehicles can camp anywhere on public land or Department of Conservation (DOC) land. However, district councils have their own rules and regulations around where you can camp for free in their district. What’s more, these rules are ever-changing making it difficult to find up-to-date information. With that in mind, we’ve put together this resource to help you find relevant and reliable freedom camping information in the district that you plan to visit in this guide to freedom camping rules in New Zealand! Check out the district council websites below for the most recent laws on freedom camping in New Zealand. We’ve also included a link to some restrictions on freedom camping on DOC land that you need to be aware of too. See here for more rules about freedom camping. As well as council land, you are usually able to freedom camp on Department of Conservation (DOC) land. Conservation land includes national parks, forest parks and reserves. However, like some council land, there are areas of conservation land where freedom camping in restricted or prohibited. For an up-to-date list of these areas where freedom camping is restricted or prohibited, see this page of the Department of Conservation website. For New Zealand’s northermost region, spanning from Cape Reinga through the Bay of Islands and down to the Kaipara towns like Dargaville, these are the pages to the freedom camping rules in the Northland region. Learn more about the Northland region in our Northland – Guide for Backpackers. Auckland is not just Auckland City. It’s a whole region that encompasses towns like Warkworth in the north and Pukekohe in the south. The Auckland Regional Council provides freedom camping information on their website. For more about camping in Auckland, check out Where to Camp in Auckland, as well as our Auckland Region – Guide for Backpackers. The Waikato is the North Island’s largest region covering many districts. While Hamilton is the hub of Waikato, the region also includes Raglan, the Coromandel, Waitomo, Taupo and Matamata. For more information on the Waikato region, see Waikato – Guide for Backpackers. We also have more information on Where to Camp in Taupo. The Bay of Plenty region covers cities such as Tauranga and Mount Maunganui, as well as Rotorua, Whakatane and Opotiki. Learn more about the Bay of Plenty in our Bay of Plenty – Guide for Backpackers and Where to Camp in Rotorua. The Gisborne region covers the city of Gisborne and the surrounding area. Information on freedom camping in Gisborne is clearly explained on the Gisborne regional website. 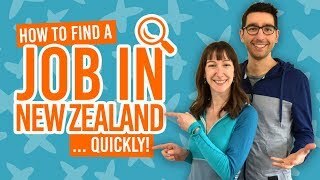 For more things to do in Gisborne and the surrounding areas, check out both East Cape – Guide for Backpackers and Gisborne – Guide for Backpackers. Hawke’s Bay’s central hub is Napier and Hastings, but the region also covers Wairoa, the Manaia Peninsula and all the way down to Porongahau and Takapau. For more information, check out Hawke’s Bay – Guide for Backpackers. Learn more about the Taranaki region in Taranaki – Guide for Backpackers. Another huge region in the North Island, Manawatu-Whanganui’s main centres are Whanganui city and Palmerston North. However, the region reaches from the Ruapehu district around the Tongariro National Park all the way down to Levin and Eketahuna on the edge of the Wellington region. Learn more about this region in Manawatu-Wanganui – Guide for Backpackers. Wellington is not only the city of Wellington, but the surrounding regions of the Hutt Valley, Porirua, the Kapiti Coast and the Wairarapa. Learn more about Where to Camp in Wellington. At the top of the South Island, Marlborough is a simple region to understand with only one district council for the entire region. The region encompasses towns such as Picton, Blenheim, Okiwi Bay and Havelock. Learn more in our Marlborough – Guide for Backpackers. While the Nelson city district is quite small, the Nelson Tasman region reaches from Golden Bay all the way to Murchison. Learn more about Nelson Tasman in Nelson Tasman & Golden Bay – Guide for Backpackers. The West Coast of the South Island spans from Karamea in the North all the way to Haast in the south. Westport, Greymouth, Punakaiki, Franz Josef and Fox Glacier all lie in between. Learn more in our West Coast – Guide for Backpackers. As the largest region in the South Island, Canterbury is divided into several districts with some district councils giving more information on their freedom camping bylaws than others. Learn more about the Canterbury region in our Canterbury – Guide for Backpackers and Where to Camp in Christchurch. Otago covers Queenstown and Wanaka, as well as Central Otago towns from Alexandra to Ranfurly. The Clutha district hub is Balclutha on the edge of the Catlins Coast. Dunedin is considered the hub of coastal Otago. Learn more about Otago in our Otago – Guide for Backpackers and Where to Camp in Queenstown. The southernmost region of New Zealand has two main hubs of Invercargill and Gore. The region also encompasses Te Anau, Tuatapere and Stewart Island. Learn more about Southland in our Southland – Guide for Backpackers.